When a person has a pinched nerve in the neck due to a herniated disc, arm pain often develops which is called radiculopathy. 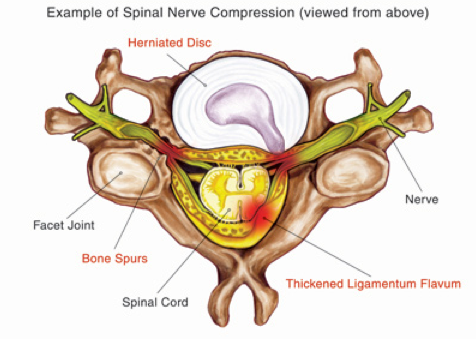 The exact area of the pain depends on which nerve root is being pinched. The pain may be in The shoulder or upper arm, or it may radiate all the way down into the fingers. Along with burning, searing pain, patients may have electrical type sensations or a pins and needles sensation in the same areas. And lastly, a pinched nerve can lead to significant muscle weakness such as difficulty extending the wrist or flexing the biceps. In these instances, one treatment that often provides excellent results is a cervical epidural steroid injection. What is a cervical epidural? At each level of the spine, the spinal cord has two nerve roots that come off of it. These nerve roots provide motor function and sensation to the upper extremities. An epidural steroid injection in the neck involves cortisone being placed around the spinal cord near the area of a pinched nerve root. Cortisone is a hefty anti-inflammatory medication. What is happening is when a nerve root gets pinched, it can spark up inflammation which then leads to the pain, numbness and weakness known as radiculopathy. An epidural steroid injection may be able to decrease this information greatly and minimize these symptoms. For what conditions is a cervical epidural injection helpful? When a patient has a herniated disc in the neck with a pinched nerve and radiculopathy, a cervical epidural steroid injection is one of the gold standard treatments to obtain relief. When looking at how patients develop the herniated disc in the neck, there may be a few contributing factors. A work injury can cause neck trauma that predisposes an individual to having a disc herniate with a nerve getting pinched. An auto accident may lead to the same result, with the need for a workers compensation doctor or personal injury specialist to handle the condition. 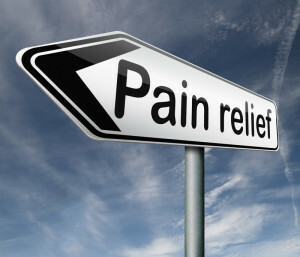 It may take a series of three injections to obtain optimal amounts of pain relief, and this can be repeated every months.These injections are usually performed every couple of weeks to provide the highest level of relief possible. when arthritis in the joints of the cervical spine have bony or soft tissue overgrowth that pinches on nerve roots as they are trying to exit the spinal canal. In addition, there’s often a genetic component that makes the space available for the nerve roots less than normal baseline. Interestingly, a lot of people have some elements of spinal stenosis but don’t know it as they are asymptomatic. 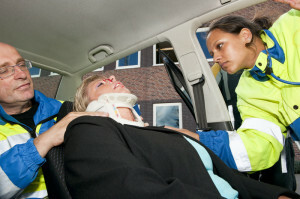 A car accident or injury at work may inflame the areas and spark up symptoms. Another indication for an epidural injection in the neck is for degenerative disc disease that has flared up. 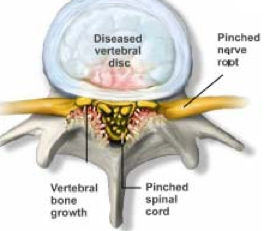 What a disc is degenerative, it can lead to tears in the outer portion of that disc. This can spark up inflammation and act clinically similar to a disc herniation with inflammation of adjacent nerve roots. Therefore, an epidural injection in the vicinity of the degenerative disc can lesson this chemical reaction of inflammation. Once again, work injuries and car accidents often spark up mildly painful degenerative disc disease and make it severe. 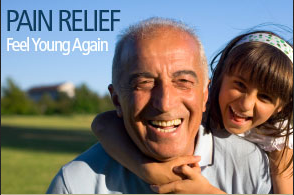 An Arizona workers compensation doctor can help obtain pain relief and get individuals back to work. How are cervical epidurals performed? These injections are performed as an outpatient in either a procedure room or an ambulatory surgery center. Patients may receive IV sedation for the procedure, but it is not absolutely necessary. It may be that numbing injection in the skin and soft tissues down to the spine are all that is needed. Patients may also simply just take a Valium by mouth 30 minutes prior to the procedure. Typically patients are placed on their abdomen, prone, on a well padded table that allows x-ray beams to go through it. 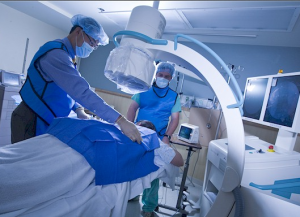 Modern personal injury and workers compensation pain management doctors use fluoroscopy for the procedures, which is a real time form of x-ray. Skin and soft tissues are numbed up and pain management doctors use what is known as a “loss of resistance” technique to enter the epidural space. At this point, contrast is usually injected to verify accuracy of needle placement. Once verified, numbing medicine and steroid are injected into the epidural space to bathe the inflamed area and relieve pain. The most common type of epidural injection using the neck is known as an interlaminar injection. Some pain management doctors place the needle differently with a transforaminal technique, which involves placing the needle out the foramen of the level, which is where the nerve root exits. This allows the steroid medication to be placed much closer to the area of actual compression. There are some higher risks associated with the transforaminal type, therefore, most pain management doctors use the interlaminar variety instead. What are the outcomes of cervical epidural injections? 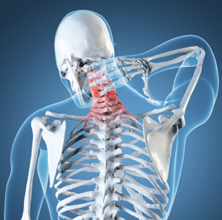 For decades, cervical epidurals have been a mainstay of treatment in pain management for radiculopathy and neck pain. The studies that have looked at the effectiveness overall for epidural injections for radiculopathy have shown 75 to 90% good to excellent results. Typically, these injections are able to substantially reduce the patients pain level, allow for less need for narcotics, and avoid surgery. When it comes to pain relief for a degenerative disc disease situation, epidural injections have some benefit but it is not as clear-cut. What the risks of these injections? Cervical epidurals have a fairly low risk profile. There is a small risk of infection, bleeding, nerve injury or side effects of the cortisone medication. If the patient is on blood thinning medications, they should be stopped 5 to 7 days prior to the injection. Ask your pain management doctor about the specific timeframe. Rarely, nerve injury or paralysis may occur. One of the rare complications can be a vascular injection of medication which can lead to stroke or paralysis. The side effects of the steroid medication are usually transient and may include elevated blood sugars, water retention, weight gain or facial flushing. What’s the bottom line with cervical epidural steroid injections? Overall, these injections have a low risk profile and a significant benefit for those suffering from pinched nerve symptoms in the neck. Cervical epidurals may allow patients to avoid the need for cervical discectomy and fusion, while also permitting individuals to return to work, socialize, and play with one’s kids. With successful cervical epidurals, most patients will not need heavy doses of opiates. Granted, it may take a series of cervical epidurals to achieve satisfactory results, the risks are significantly lower than the cervical discectomy and fusion.